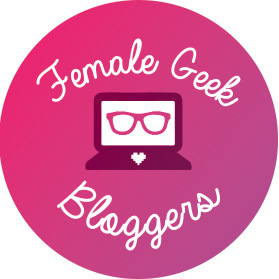 If you’re participating in The Nerdy Girlie’s 5 Fandom Friday, you may have noticed a few of us have made some DLC’s (downloadable content) to complement the already lengthy blog prompt list courtesy of The Nerdy Girlie and Super Space Chick. You can check out my first DLC for 5 Fandom Friday at the GG Pack (the Geeky Gal Pack) and my second DLC here at GG2 Pack! With 2019 upon us, I noticed a lot of people want to learn a new skill or take up a new hobby as one of their resolutions. The Nerdy Girlie had a similar prompt so I thought I’d put the tiniest spin on it! I wanted to share 5 hobbies that I and my fellow geeky friends enjoy. These would be perfect hobbies to try out or even some cool skills you can learn for 2019. Among all of the prompts listed, I really loved the idea of creating a playlist for character. You may have seen Padme’s playlist and Asuna’s playlist. Of course, I can’t just pick one character, so we’re back with another playlist for one of my first favorite anime characters: Kagome Higurashi of InuYasha. For the month of October, I am pulling away from my regular 5 Fandom Friday and Saturday Suggestion posts. Every Friday for the month of October I will be presenting my 5 Freaky Faves in honor of Halloween! This week’s 5 Freaky Faves are my favorite binge-worthy scary TV shows! Bates Motel takes it’s creepy cues from the movie it was based on and spins a modern prequel to Alfred Hitchcock’s Psycho tale. Freddie Highmore is in one of his best roles as Norman Bates with Vera Farmiga as his mother Norma. The two have mad chemistry in this chilling psychological horror Netflix drama. You knew American Horror Story would make this list. If you haven’t watching any of the seasons already, this is the time to do it! The first season, affectionately called Murder House by fans, would be a great start to your Halloween week. Try it; you may find yourself binging up to the latest season Netflix has to offer. As a fan of campy horror, I was excited to give this Scream TV series a shot and I have zero regrets. It’s full of that campy horror nostalgia while still being set in present day. While still very much a slasher horror series, the stories are great for those that miss those good old slasher flick days. With two seasons up on Netflix, Scream is perfect to binge this spooky holiday season. Another favorite scary show of mine is Black Mirror. Unfortunately, I find it hard to binge because it leaves me so emotionally drained at the end of most episodes. Haunting and scary may not be what some people would use to describe Black Mirror, but that’s exactly what it is. Incredible stories that last for a single episode will enthrall you, make your heart race, fill your eyes with tears, and leave your knuckles white as you hang on for the wild ride called Black Mirror on Netflix. What binge-worthy scary TV shows do you like to watch during the month of October? Tell me in the comments! For the month of October, I am pulling away from my regular 5 Fandom Friday and Saturday Suggestion posts. Every Friday for the month of October I will be presenting my 5 Freaky Faves in honor of Halloween! This week’s (late) 5 Freaky Faves are my favorite Halloween and spooky YouTubers! For the month of October, I am pulling away from my regular 5 Fandom Friday and Saturday Suggestion posts. Every Friday for the month of October I will be presenting my 5 Freaky Faves in honor of Halloween! This week’s 5 Freaky Faves are my all time favorite horror anime (which you may have seen during the 30 Day Anime Challenge). For the month of October, I am pulling away from my regular 5 Fandom Friday and Saturday Suggestion posts. Every Friday for the month of October I will be presenting my 5 Freaky Faves in honor of Halloween! This week’s 5 Freaky Faves are my all time favorite horror games (which you may have seen during the 30 Day Video Game Challenge).